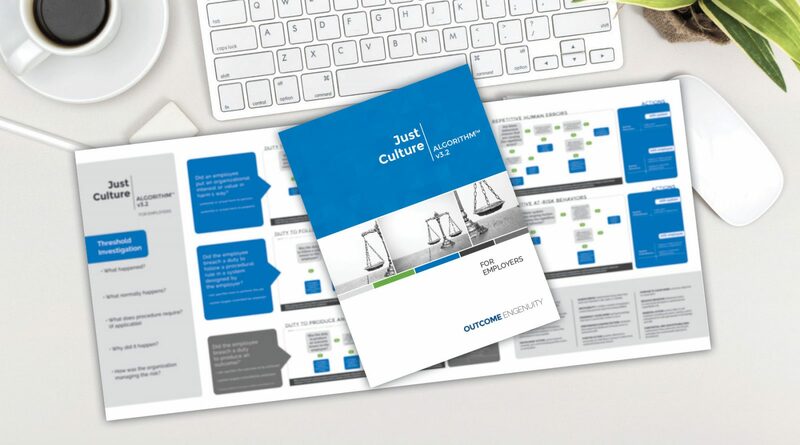 The Just Culture Algorithm™ is your primary tool for understanding and categorizing the choices of those in your organization. With it, you can evaluate an event based on a set of duties inherent to the system in order to determine which of the three behaviors was most likely in play. This gives you the ability to address the event and the people involved in a constructive way rather than simply reacting to the outcome. It can also show you how multiple behaviors can be associated with a single event, so that you can evaluate each behavior separately in order to more effectively determine the root cause. Some models are very narrow, designed only to address procedural violations, or are reactive in nature, developed exclusively for post-event analysis. The three duties and three behaviors that are often referenced in other Just Culture Models were developed by Outcome Engenuity through a strong set of systems engineering, human factors, and legal skills. Building a scientifically valid, legally-supported Just Culture model is not something that can be done by a focus group in a day. You need an algorithm that will work for the many varied events and conduct you will face. Provides an objective framework for fair, constructive responses to errors and events, and a framework for individuals to evaluate their own behavioral choices. Complements existing system improvement initiatives and supports regulatory requirements. Gives managers a practical tool to guide consistent, objective, and fair evaluations of behavior leading to errors or events.